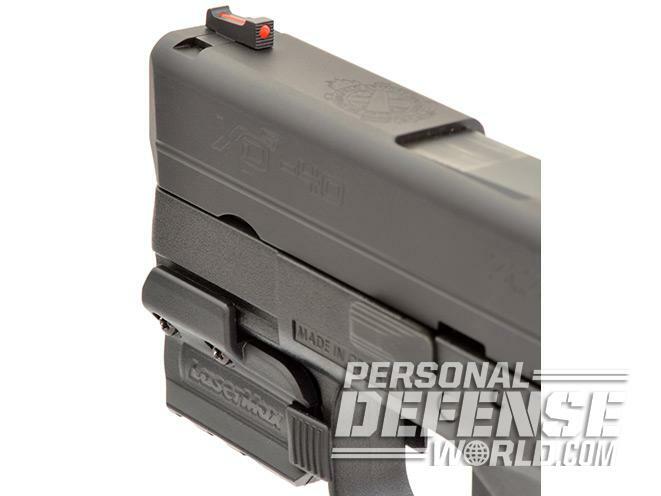 The LaserMax Spartan is a good fit for any subcompact with a short accessory rail. 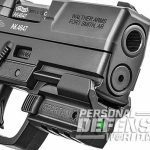 Subcompact handguns rarely come with Picatinny rails for mounting tactical lights and lasers. 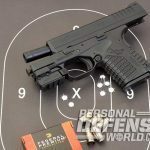 But there are a handful of .380 ACP, 9mm, .40 S&W and .45 ACP subcompacts that have short dust-cover rails—models like the Walther PPS, Springfield XD-S, Beretta Px4 Storm Subcompact and Colt’s Mustang XSP and Mustang Lite. 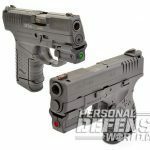 The fundamental problem is that most lasers need a longer rail than these small subcompact pistols can provide. 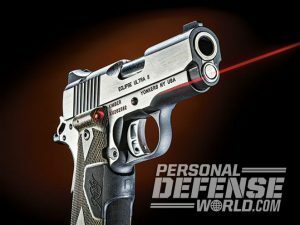 LaserMax has created the ideal short-rail laser with its Spartan line. The micro-sized lasers are offered in either red or green, the latter being quite an accomplishment for a rail-mounted laser measuring only 1.75 inches in length, 0.94 inches in height and width, and weighing little more than an ounce, including its single 1/3N battery. Requiring only 0.75 inches of rail length to the triggerguard, and thus allowing the elongated ambidextrous on/off touch pads to rest slightly inside the front of the triggerguard, activation is quick with either the trigger finger or support-hand thumb. The Spartan securely mounts using a special rail vise adaptor that locks into the rail and laser housing to provide a solid fit on any rail, thus securing the device for consistent positioning over extensive live-fire use. Once mounted, the Spartan almost becomes a part of the gun, an important advantage since the housing also has an integrated Picatinny rail underneath for attaching a tactical light. For precise adjustments, clearly indicated windage and elevation screws are recessed into the right side and bottom of the housing for quick target alignment with an included hex-head tool. The laser also has two settings controlled by the touch pad, allowing for either a constant beam or high-visibility pulse. The laser will run continuously for five hours on one battery. 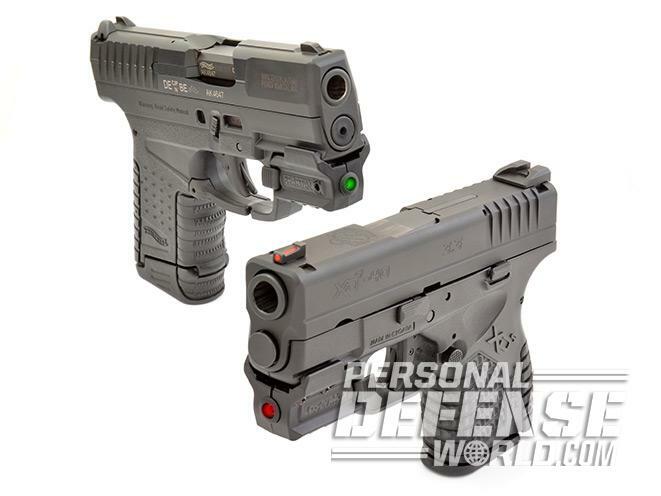 I tested red and green Spartan lasers by fitting them to a Walther PPS 9mm and a .40 S&W Springfield Armory XD-S. 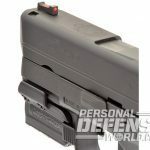 I also outfitted the Springfield with a 170-lumen Walther Tactical Pro flashlight mounted to the Spartan’s integral rail using a Walther quick-release mount. 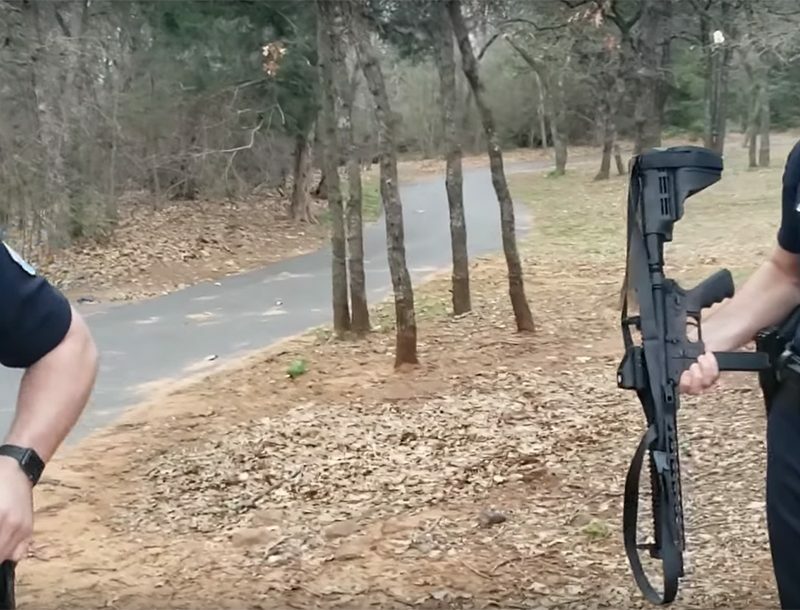 This is a noteworthy asset for home-defense use. Technically, all Class 3R visible red and green lasers have the same 5mW output. The difference is that a red laser falls into the 650-nanometer wavelength, while a green laser ranges from 510 to 535 nanometers and appears brighter to the human eye in daylight. Where a red laser may be hard, if not impossible, to pick up in bright light at 15 to 25 yards, a green laser will still pinpoint its target. I tested the green Spartan and Springfield XD-S together at 15 yards. The laser was set to pulse and was clearly visible in moderate overcast light. 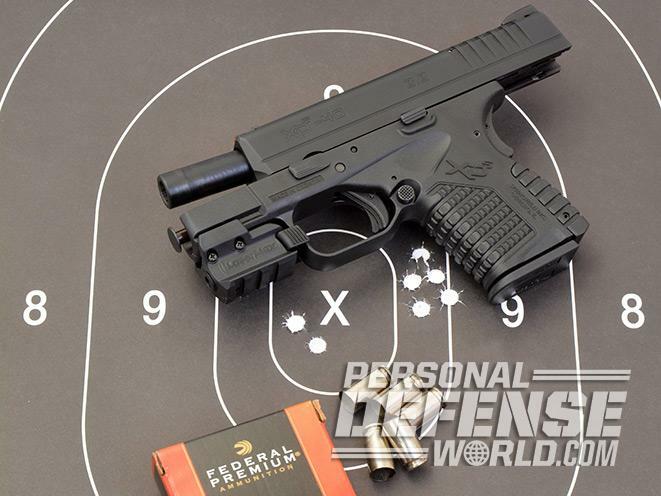 The best five-round group with Federal’s 180-grain Hydra-Shok JHPs measured 1.5 inches. The last two rounds in the magazine punched a pair into the bullseye at 0.5 inches. 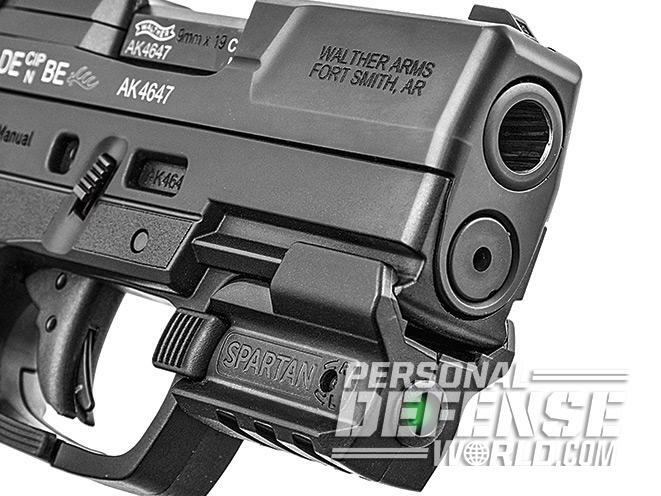 The LaserMax Spartan is a good fit for any subcompact with a short accessory rail. For more information, visit http://www.lasermax.com or call 800-527-3703.